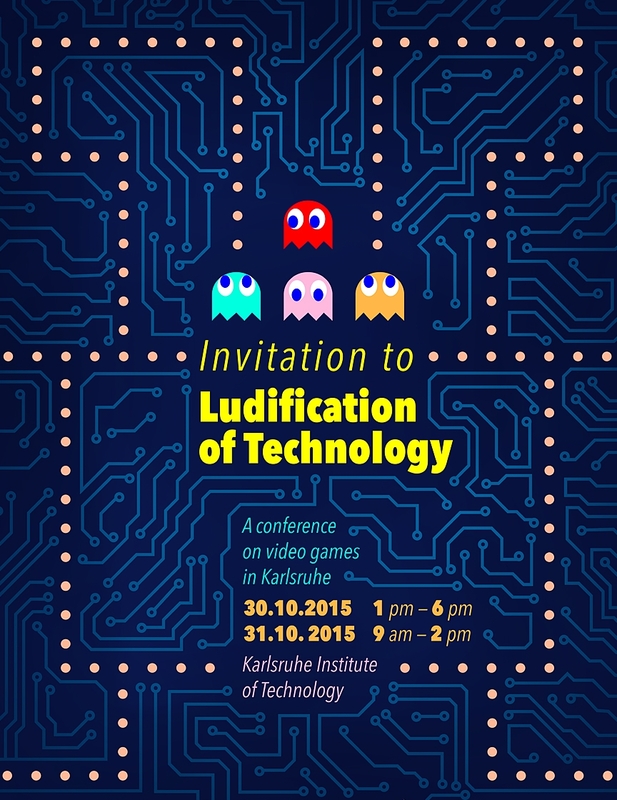 The conference ‘Ludification of Technology’, held on the 30th and 31st of October, brought regional and international experts of the video game business and research together to Karlsruhe, and showed different viewpoints and research results of the speakers. The event was subsidized by the Karlsruhe institute of technology, the ZKM Karlsruhe, Wirtschaftsförderung Karlsruhe, K³ Kultur- und Kreativwirtschaftsbüro and the CyberForum Karlsruhe. Participating students had the opportunity to widen their horizon on the topic of video game studies and get to know experts in the field first hand, whereas the experts got to network and exchange with colleagues. The poster for this conference had to be simple enough for everyone to understand, but also show a twist, which was the technology in form of the computer board as an infiltrated space by gaming.